All the episodes from the first 14 seasons of the award-winning US drama following the lives of medical professionals at the fictional Seattle Grace Hospital. Season 1 episodes are: 'A Hard Day's Night', 'The First Cut Is the Deepest', 'Winning a Battle, Losing the War', 'No Man's Land', 'Shake Your Groove Thing', 'If Tomorrow Never Comes', 'The Self-Destruct Button', 'Save Me' and 'Who's Zoomin' Who?'. Season 2 episodes are: 'Raindrops Keep Falling On My Head', 'Enough Is Enough', 'Make Me Lose Control', 'Deny, Deny, Deny', 'Bring the Pain', 'Into You Like a Train', 'Something to Talk About', 'Let It Be', 'Thanks for the Memories', 'Much Too Much', 'Owner of a Lonely Heart', 'Grandma Got Run Over By a Reindeer', 'Begin the Begin', 'Tell Me Sweet Little Lies', 'Break On Through', 'It's the End of the World', 'As We Know It', 'Yesterday', 'What Have I Done to Deserve This? ', 'Band-Aid Covers the Bullet Hole', 'Superstition', 'The Name of the Game', 'Blues for Sister Someone', 'Damage Case', '17 Seconds', 'Deterioration of the Fight Or Flight Response' and 'Losing My Religion'. Season 3 episodes are: 'Time Has Come Today', 'I Am a Tree', 'Sometimes a Fantasy', 'What I Am', 'Oh, the Guilt', 'Let the Angels Commit', 'Where the Boys Are', 'Staring at the Sun', 'From a Whisper to a Scream', 'Don't Stand So Close to Me', 'Six Days: Part 1', 'Six Days: Part 2', 'Great Expectations', 'Wishin' and Hopin'', 'Walk On Water', 'Drowning On Dry Land', 'Some Kind of Miracle', 'Scars and Souvenirs', 'My Favorite Mistake', 'Time After Time', 'Every Moment Counts', 'Desire', 'The Other Side of This Life: Part 1', 'The Other Side of This Life: Part 2', 'Testing 1-2-3' and 'Didn't We Almost Have It All?'. Season 4 episodes are: 'A Change Is Gonna Come', 'Love/Addiction', 'Let the Truth Sting', 'The Heart of the Matter', 'Haunt You Every Day', 'Kung Fu Fighting', 'Physical Attraction... Chemical Reaction', 'Forever Young', 'Crash Into Me: Part 1', 'Crash Into Me: Part 2', 'Lay Your Hands On Me', 'Where the Wild Things Are', 'Piece of My Heart', 'The Becoming', 'Losing My Mind', 'Freedom: Part 1' and 'Freedom: Part 2'. Season 5 episodes are: 'Dream a Little Dream of Me: Part 1', 'Dream a Little Dream of Me: Part 2', 'Here Comes the Flood', 'Brave New World', 'There's No 'I' in Team', 'Life During Wartime', 'Rise Up', 'These Ties That Bind', 'In the Midnight Hour', 'All By Myself', 'Wish You Were Here', 'Sympathy for the Devil', 'Stairway to Heaven', 'Beat Your Heart Out', 'Before and After', 'An Honest Mistake', 'I Will Follow You Into the Dark', 'Stand By Me', 'Elevator Love Letter', 'Sweet Surrender', 'No Good at Saying Sorry (One More Chance)', 'What a Difference a Day Makes', 'Here's to Future Days' and 'Now Or Never'. Season 6 episodes are: 'Good Mourning', 'Goodbye', 'I Always Feel Like Somebody's Watchin' Me', 'Tainted Obligation', 'Invasion', 'I Saw What I Saw', 'Give Peace a Chance', 'Invest in Love', 'New History', 'Holidaze', 'Blink', 'I Like You So Much Better When You're Naked', 'State of Love and Trust', 'Valentine's Day Massacre', 'Time Warp', 'Perfect Little Accident', 'Push', 'Suicide Is Painless', 'Sympathy for the Parents', 'Hook, Line and Sinner', 'How Insensitive', 'Shiny Happy People', 'Sanctuary' and 'Death and All His Friends'. Season 7 episodes are: 'With You I'm Born Again', 'Shock to the System', 'Superfreak', 'Can't Fight Biology', 'Almost Grown', 'These Arms of Mine', 'That's Me Trying', 'Something's Gotta Give', 'Slow Night, So Long', 'Adrift and at Peace', 'Disarm', 'Start Me Up', 'Don't Deceive Me (Please Don't Go)', 'P.Y.T. 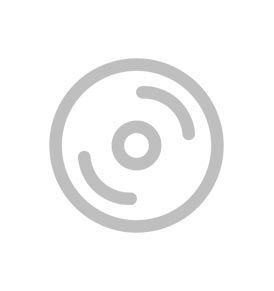 (Pretty Young Thing)', 'Golden Hour', 'Not Responsible', 'This Is How We Do It', 'Song Beneath the Song', 'It's a Long Way Back', 'White Wedding', 'I Will Survive' and 'Unaccompanied Minor'. Season 8 episodes are: 'Free Falling', 'She's Gone', 'Take the Lead', 'What Is It About Men', 'Love, Loss and Legacy', 'Poker Face', 'Put Me in, Coach', 'Heart-Shaped Box', 'Dark Was the Night', 'Suddenly', 'This Magic Moment', 'Hope for the Hopeless', 'If/Then', 'All You Need Is Love', 'Have You Seen Me Lately? ', 'If Only You Were Lonely', 'One Step Too Far', 'The Lion Sleeps Tonight', 'Support System', 'The Girl With No Name', 'Moment of Truth', 'Let the Bad Times Roll', 'Migration' and 'Flight'. Season 9 episodes are: 'Going, Going, Gone', 'Remember the Time', 'Love the One You're With', 'I Saw Her Standing There', 'Beautiful Doom', 'Second Opinion', 'I Was Made for Lovin' You', 'Love Turns You Upside Down', 'Run, Baby, Run', 'Things We Said Today', 'The End Is the Beginning Is the End', 'Walking On a Dream', 'Bad Blood', 'The Face of Change', 'Hard Bargain', 'This Is Why We Fight', 'Transplant Wasteland', 'Idle Hands', 'Can't Fight This Feeling', 'She's Killing Me', 'Sleeping Monster', 'Do You Believe in Magic', 'Readiness Is All' and 'Perfect Storm'. Season 10 episodes are: 'Seal Our Fate', 'I Want You With Me', 'Everybody's Crying Mercy', 'Puttin' On the Ritz', 'I Bet It Stung', 'Map of You', 'Thriller', 'Two Against One', 'Sorry Seems to Be the Hardest Word', 'Somebody That I Used to Know', 'Man On the Moon', 'Get Up, Stand Up', 'Take It Back', 'You've Got to Hide Your Love Away', 'Throwing It All Away', 'We Gotta Get Out of This Place', 'Do You Know? ', 'You Be Illin'', 'I'm Winning', 'Go It Alone', 'Change of Heart', 'We Are Never Ever Getting Back Together', 'Everything I Try to Do, Nothing Seems to Turn Out Right' and 'Fear (of the Unknown)'. Season 11 episodes are: 'I Must Have Lost It On the Wind', 'Puzzle With a Piece Missing', 'Got to Be Real', 'Only Mama Knows', 'Bend & Break', 'Don't Let's Start', 'Could We Start Again, Please? ', 'Risk', 'Where Do We Go from Here', 'The Bed's Too Big Without You', 'All I Could Do Was Cry', 'The Great Pretender', 'Staring at the End', 'The Distance', 'I Feel the Earth Move', 'Don't Dream It's Over', 'With Or Without You', 'When I Grow Up', 'Crazy Love', 'One Flight Down', 'How to Save a Life', 'She's Leaving Home', 'Time Stops' and 'You're My Home'. Season 12 episodes are: 'Sledgehammer', 'Walking Tall', 'I Choose You', 'Old Time Rock and Roll', 'Guess Who's Coming to Dinner', 'The Me Nobody Knows', 'Something Against You', 'Things We Lost in the Fire', 'The Sound of Silence', 'All I Want Is You', 'Unbreak My Heart', 'My Next Life', 'All Eyez On Me', 'Odd Man Out', 'I Am Not Waiting Anymore', 'When It Hurts So Bad', 'I Wear the Face', 'There's a Fine, Fine Line', 'It's Alright, Ma (I'm Not Bleeding)', 'Trigger Happy', 'You're Going to Need Someone On Your Side', 'Mama Tried', 'At Last' and 'Family Affair'. Season 13 episodes are: 'Undo', 'Catastrophe and the Cure', 'I Ain't No Miracle Worker', 'Falling Slowly', 'Both Sides Now', 'Roar', 'Why Try to Change Me Now', 'The Room Where It Happens', 'You Haven't Done Nothin'', 'You Can Look (But You'd Better Not Touch)', 'Jukebox Hero', 'None of Your Business', 'It Only Gets Much Worse', 'Back Where You Belong', 'Civil War', 'Who Is He (And What Is He to You)? ', 'Till I Hear It from You', 'Be Still, My Soul', 'What's Inside', 'In the Air Tonight', 'Don't Stop Me Now', 'Leave It Inside', 'True Colours' and 'Ring of Fire'. Season 14 episodes are: 'Break Down the House', 'Get Off On the Pain', 'Go Big Or Go Home', 'Ain't That a Kick in the Head? ', 'Danger Zone', 'Come On Down to My Boat, Baby', 'Who Lives, Who Dies, Who Tells Your Story', 'Out of Nowhere', '1-800-799-7233', 'Personal Jesus', '(Don't Fear) the Reaper', 'Harder, Better, Faster, Stronger', 'You Really Got a Hold On Me', 'Games People Play', 'Old Scars, Future Hearts', 'Caught Somewhere in Time', 'One Day Like This', 'Hold Back the River', 'Beautiful Dreamer', 'Judgement Day', 'Bad Reputation', 'Fight for Your Mind', 'Cold As Ice' and 'All of Me'.